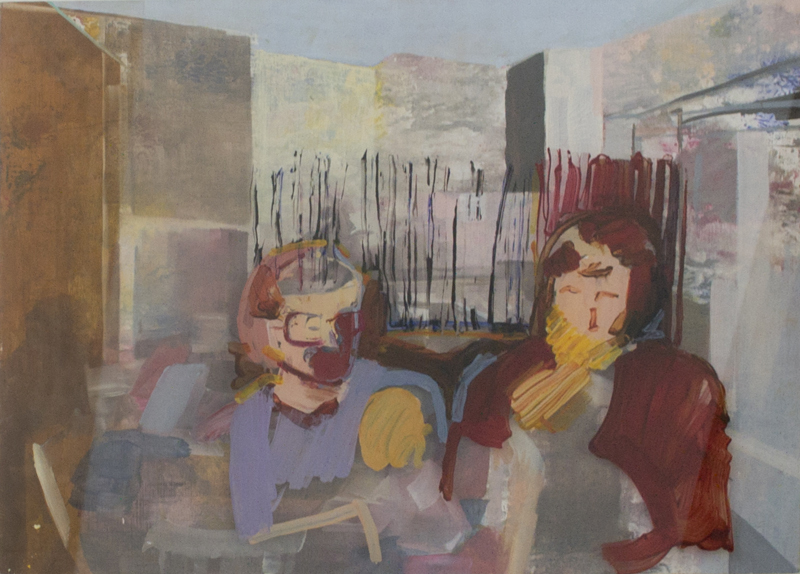 Meanwhile, Rummage until Combined, is the first solo exhibition by the award winning artist Eileen O’Sullivan, presented by SO Fine Art Editions in our new space at Powerscourt Townhouse, Dublin 2. 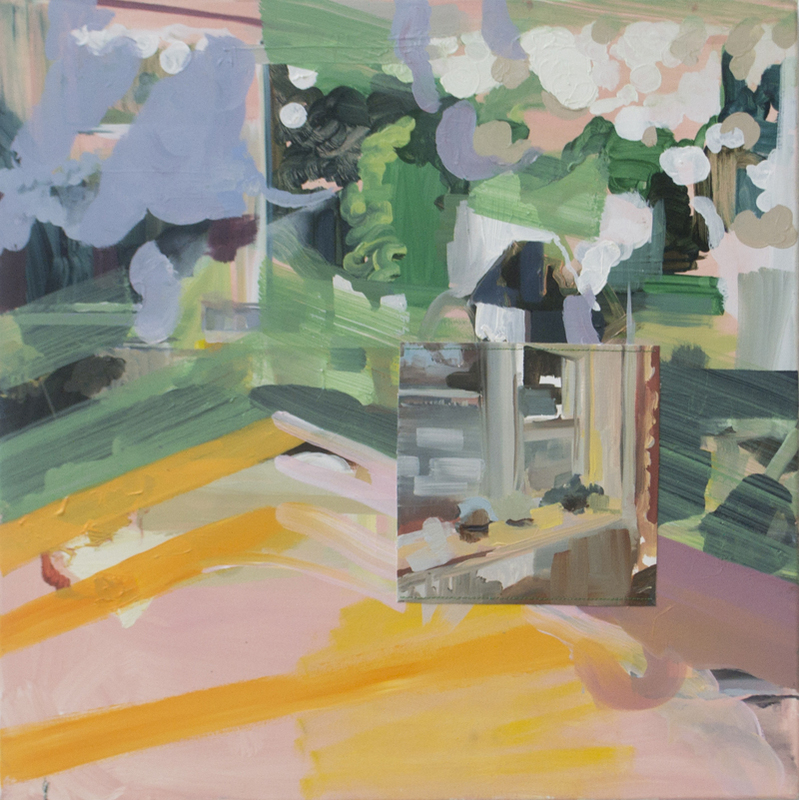 The title references the process of creating paintings in a state of flux. 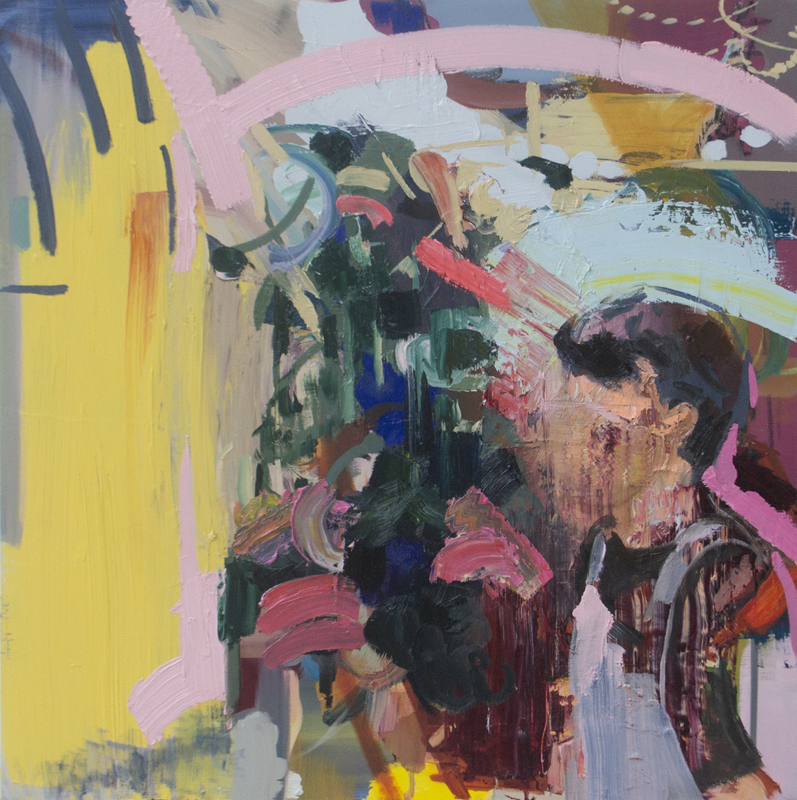 A continuous flow of searching, researching through action, the physicality of the artist’s creative labour. 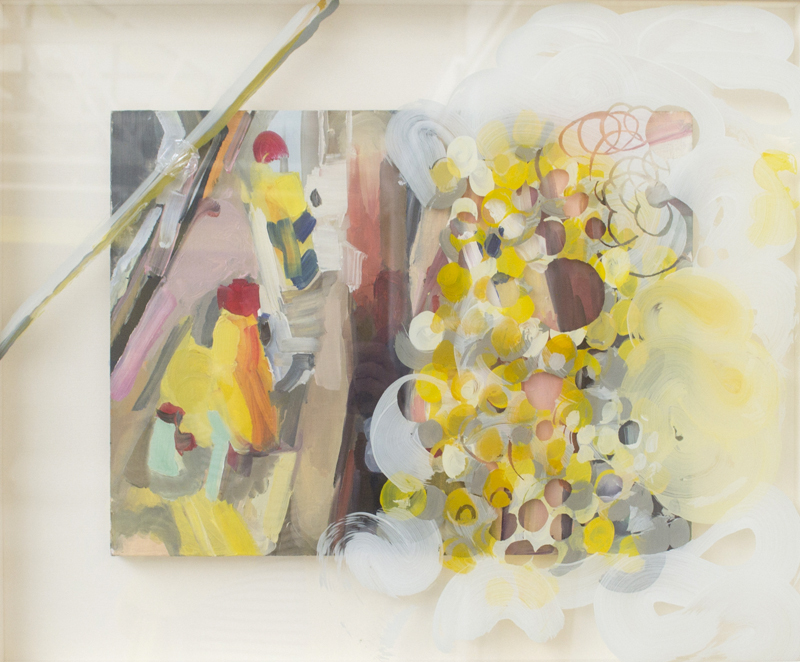 This process engages the artist as a physical being and concerns the artist’s connection to the experiences of material reality. 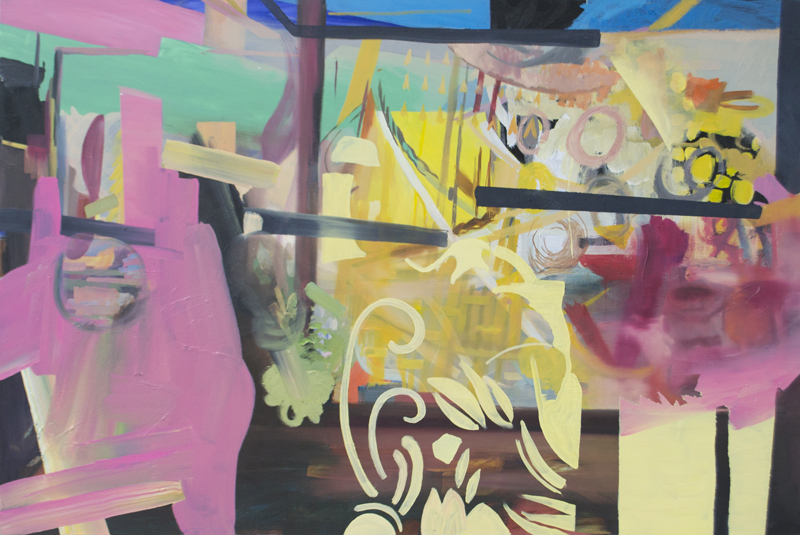 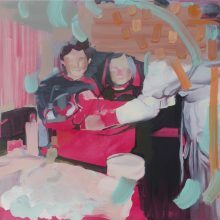 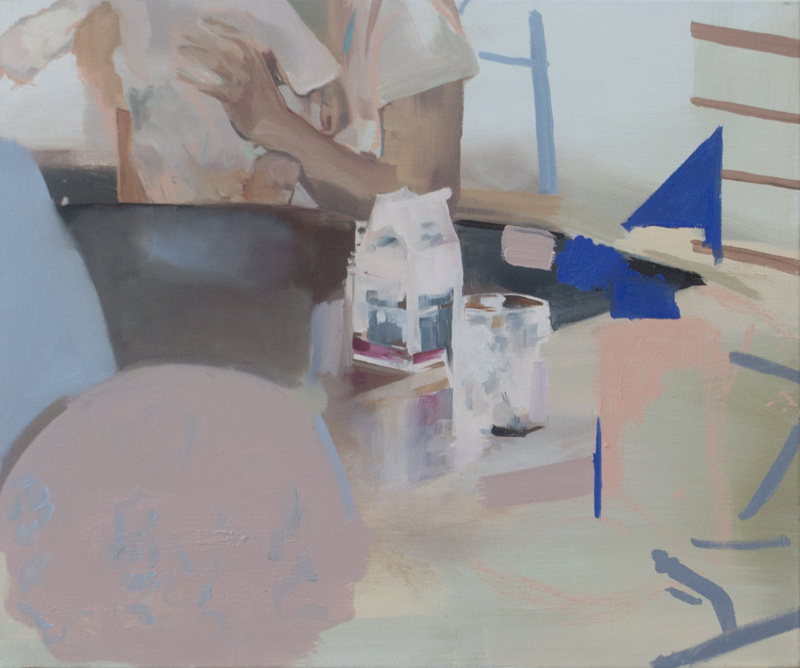 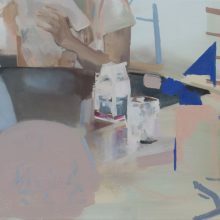 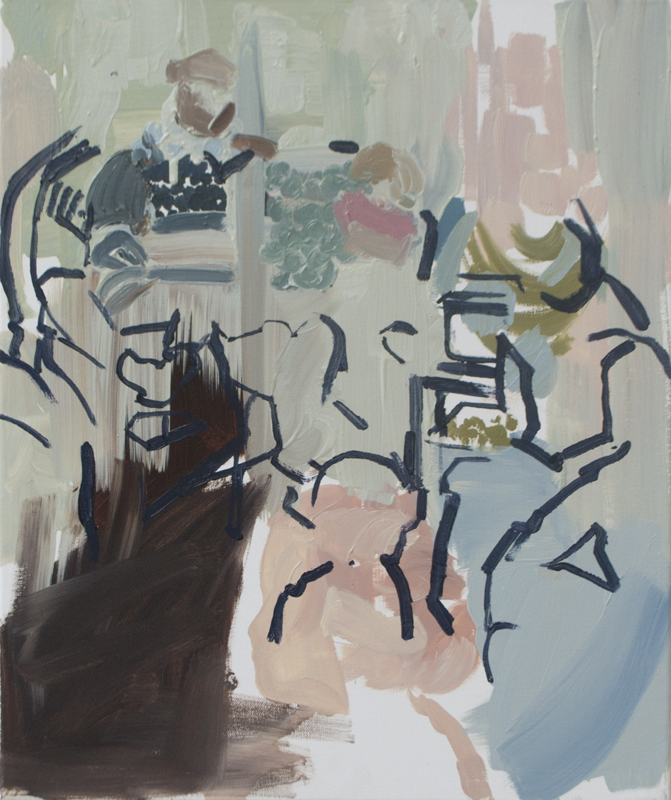 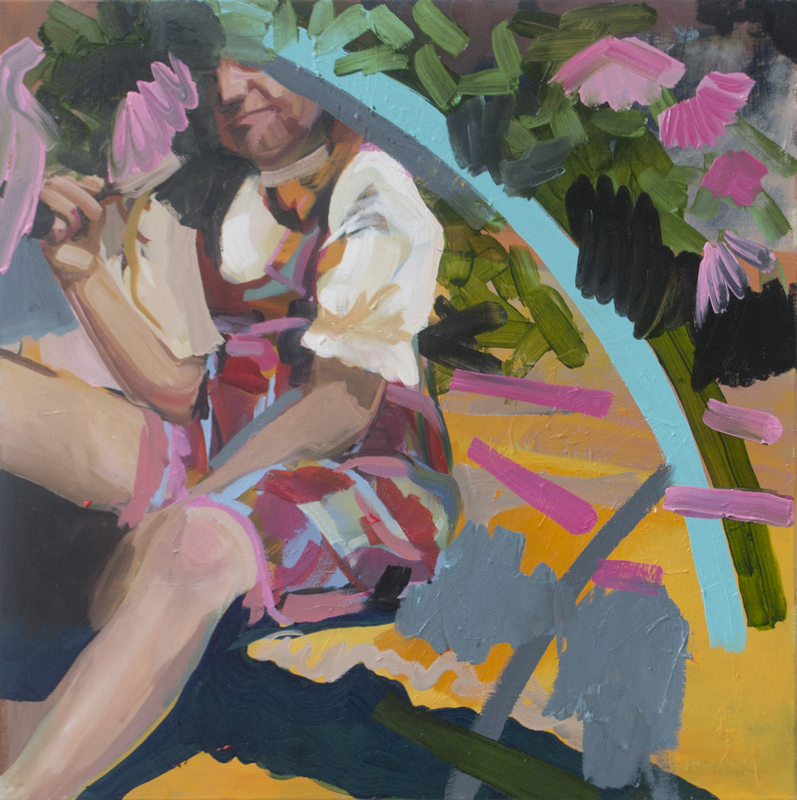 Painting combines space and time and for O’Sullivan it is an act of prolonged observation , of both the source material and the surface on which the new emerges. 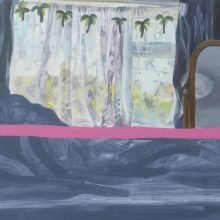 She questions the formalist approach to painting, which dictates the importance of the artwork itself as an aesthetic object rather than the consideration of who made it or how it was created. 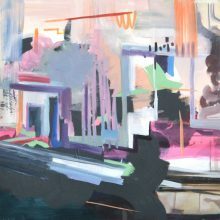 Furthermore, the artist’s process takes its place in the interlocking processes that make up the world, a microcosm of activity in time. O Sullivan’s preoccupation lies with the materiality of paint and how it slips and slides across the surface and the energetic playing of vivid colours against on another. 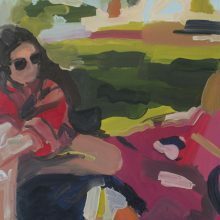 She draws on the familiar , the comfortable and her source imagery reference an intimate perspective of her mundane encounters with the world; friends, home life, the unspectacular. 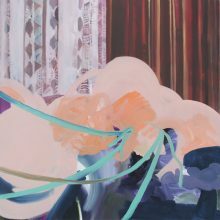 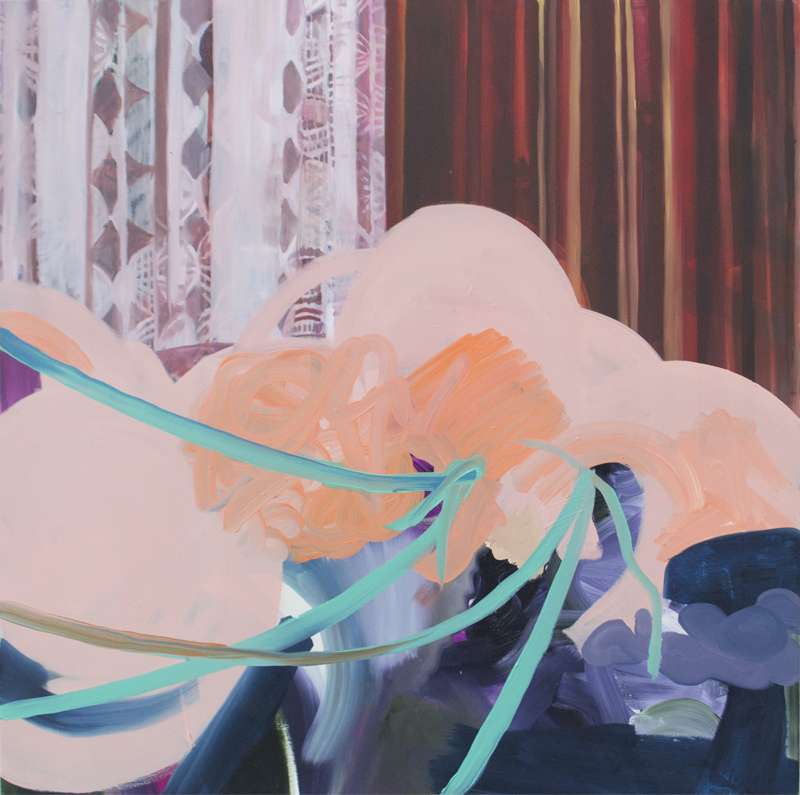 Her work straddles abstraction and figuration as devices to disorientate and intrigue. 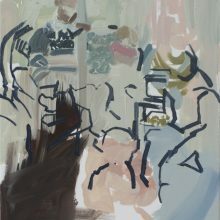 For O Sullivan a painting is a sentence in a language that stems from a broad history of artists conversing. 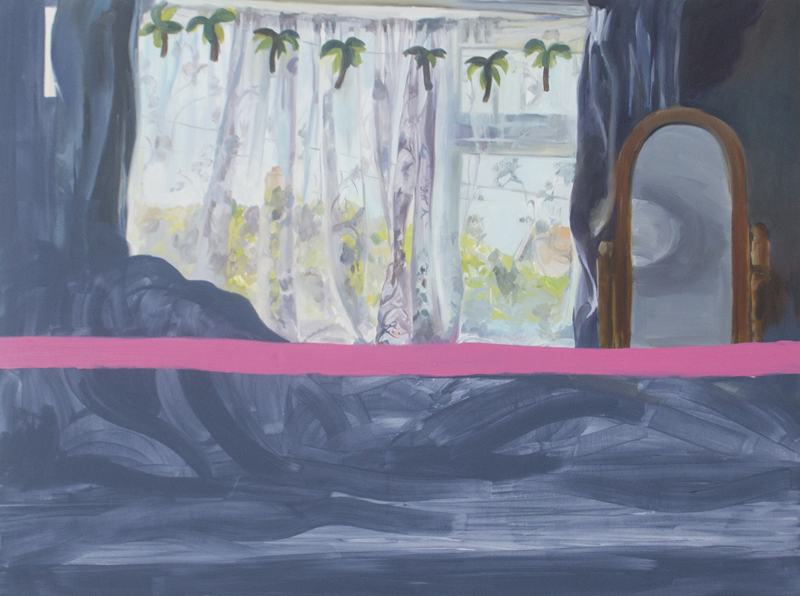 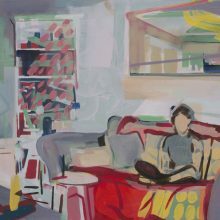 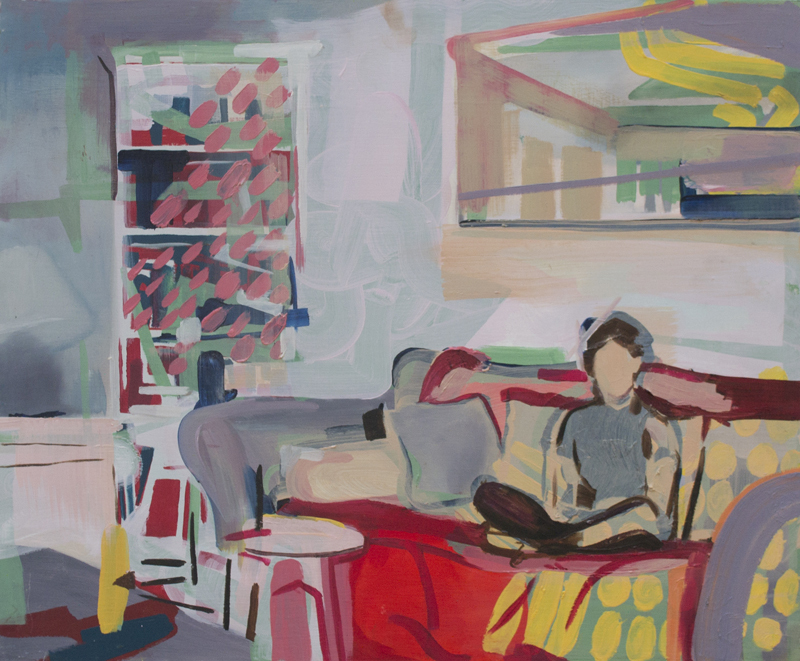 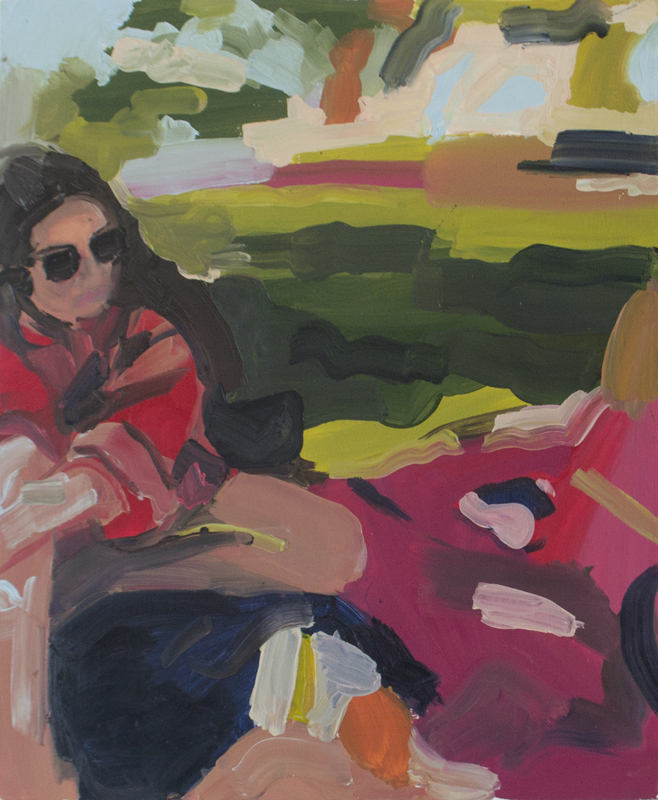 Eileen O’Sullivan (b.1992 Meath) lives and works in Dublin 8. She graduated from the National College of Art and Design (NCAD) with a BA in Painting in 2015 having spent a semester studying in Antwerp. 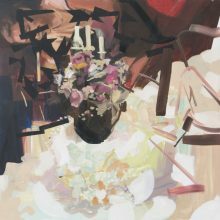 Shortly after graduating she was described by RTE as one of the ten most notable Irish painters under the age of thirty to watch. 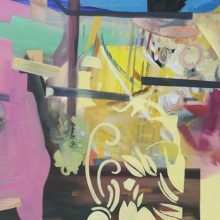 In 2018, O’Sullivan was awarded The K&M Evans Painting Award at the Royal Hibernian Academy 188th Annual Exhibition and The Surveyor Visual Artist Award, Solstice Arts Gallery, Navan, Co.Meath. 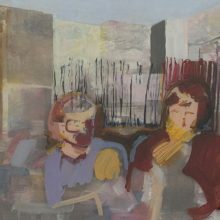 O’Sullivan’s work is held in collections including the Office of Public Works, The Law Society of Ireland, National University of Ireland Maynooth, as well as many private collections nationally and internationally. 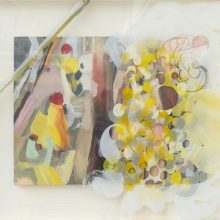 Click on the thumbnails below to see larger images of the works.